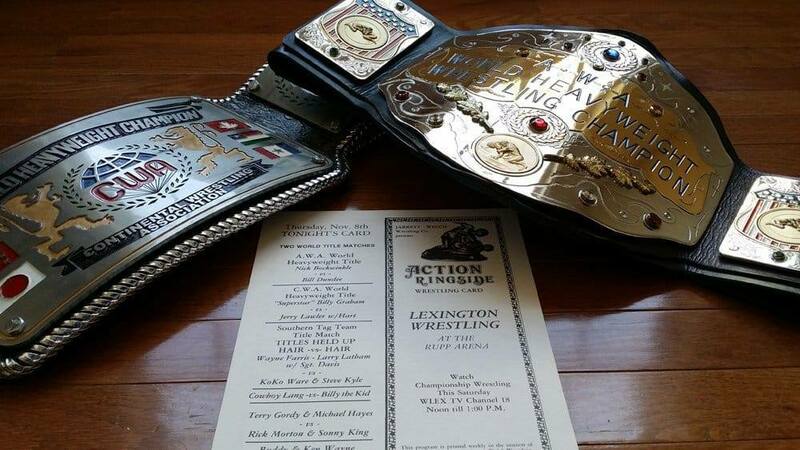 World’s collide on this week’s Kentucky Fried Rasslin’ podcast when investigative journalists Scott Bowden and The Great Brian Last uncover Jerry Jarrett’s plans to unify the CWA and AWA World titles in 1980. Fresh off unraveling the Mummy last week, KFR’s crack archeologists also discover the first-ever dueling promos on WHBQ between Jerry Lawler and Bill Dundee, hyping their initial monumental clash advertised as the main event at the Mid-South Coliseum on December 8, 1975. These classic interviews have not been aired in 40-plus years! Plus, you’ll learn the hard way that love can be a fickle, pickle-eating, overweight mistress wearing undersized Jerry Lawler T-shirts when the romance between the babyface King and the hometown faithful ends nearly as quickly as a Pat Hutchinson squash match as 1975 draws to a close. Follow Scott Bowden on Twitter @TravScottBowden and on Facebook @KentuckyFriedRasslin. Follow Brian on Twitter at @GreatBrianLast.